Many people have gone out of their way to compliment the immersive quality of the prologue to "A God in the Shed"...and I’ll gladly second them! The clarity of the fairy-tale narrative perspective mixes wonderfully with the personalities of the kid and the equally naive alien god...even before his ominous power goes on display, the tension I felt I as I read about the kids and the gods playing kid’s games together, waiting for the shoe to drop...it was quite simply exquisite! I was hoping to ask: what inspired your depiction of the "Ancient Trans-Dimensional God" at the heart of your story? 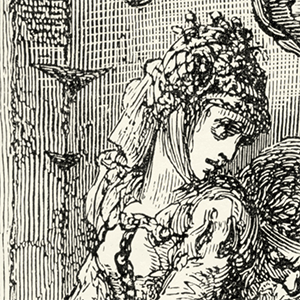 Did you draw from mythology, other works of horror, or even real-life experiences? Look who needs your help again. Actually, this time I come to you with a plea on behalf of the whole Inkshares Horror Family. NPR is putting together a list of 100 scary books and stories. It goes without saying that it would be an honour to be included in that list (along with as many of my horror friends here at Inkshares). And you can help. As always, thank you so much for your support. There’s so much cool stuff on the horizon and it’s all because of you gorgeous humans. Let me get to the point: There’s a sequel to A God in the Shed being published an it’s titled Song of the Sandman. We’re just going to go ahead and publish Song of the Sandman. There’s still a pre-order page however and I’d love for you to pre-order your copy today. Well, obviously it helps the publisher with the initial publishing costs, but more importantly, it allows me to offer some exclusive perks to my readers. For digital pre-orders you get the book early. I’ve seen readers get their e-copies up to two weeks ahead of the official release date. If you pre-order 3 physical copies or more, your name will appear in the book’s acknowledgements. NOTE: This one is subject to extremely tight timing as the book is already in the middle stages of production. You want you name in this book? Don’t delay. I’m going to be putting together a few art pieces and getting prints to slip into the signed copies. Pre-orders also allow me to put together project page with information about the book which, let’s face it, is pretty exciting. 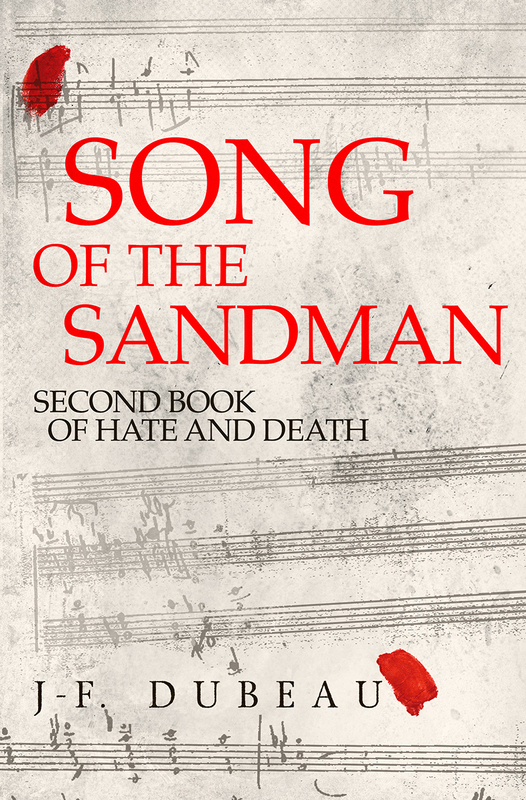 Check out Song of the Sandman now and consider putting in a pre-order. Show Inkshares the raw power of A God in the Shed readers. I ordered your first book through Inkshares in September and have not receive it? Do you know when it will ship? Well, 2017 won’t be accused of being uneventful. I think it’s safe to say that it will go down as a year with many bitter memories for some. I lucked out however and, because of you, 2017 turned out to be an awesome year. I say ’you’ because you are responsible for A God in the Shed becoming a reality. You helped us get to over 5300 books sold. We’re staring down the barrel of the sequel going into production and all of it is because you took a chance on this book. But, I will be asking you to trust me again. I have another book currently funding on Inkshares. 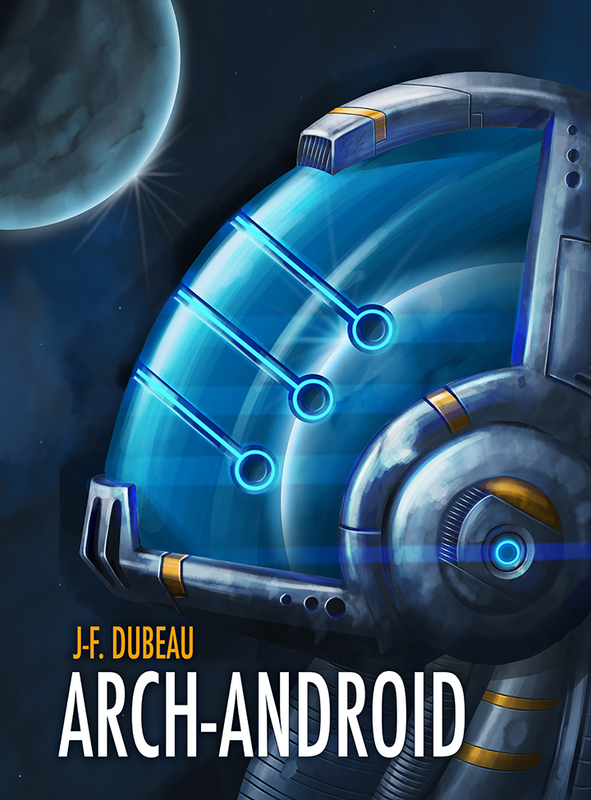 It’s a science fiction novel called Arch-Android. It’s the story of our robot descendants and how they’ve lived without human interference for centuries, but now, as signs of humanity making a comeback start to appear, they have to decide how best to prepare sharing the galaxy with us once again. Check out the sample chapter and please, consider pre-ordering a copy (or more!). It’s not horror but I swear you won’t regret it. Again, thank you so much for your continued support. Great things are coming in 2018 and I’m looking forward to sharing that journey with you. I ordered a paperback copy in September and have yet to receive it. I can’t vote for a book I’ve not yet received. I come to you with a humble request. A God in the Shed has the honour of being a semi-finalist for the Goodreads Choice Awards 2017. This is a big deal. What would make it an even bigger deal is making it to the next round as a finalist. A huge deal. Gargantuan really. All I ask of you, is a few clicks. First, click here to get to the voting page. Then, while logged into Goodreads, click on the red VOTE button under A God in the Shed. There you go. With that simple gesture, you participate in what can be a huge step in my writing career and that makes you awesome. Hurry! You only have up to November 12, 2017 to vote! Thanks for the support! You’re the best.